When Christmas carols occupy air space at the mall and elsewhere, the scents and sights of Christmas can’t be too far behind. The air is nippier, people are generally nicer and kinder despite the busier schedules and monstrous traffic jams. The kids start their Christmas countdown and I swear, visions of sugarplums, or in our case, Christmas cookies, definitely dance in their heads. The look and feel of the season comes early at my home. My tree and my Belen (Nativity scene) are up after all hallows eve. My husband puts up the parol (Christmas star) and tiny sparkling lights outside the house and like magic, my home is transformed into the happiest place on earth, at least for me. I spend a huge chunk of my day checking Pinterest for cookie recipes and trying them out for my family to judge. I visit all the baking supply stores and supermarkets in search of ingredients. I eat, dream and breathe cookies all day. I love being in the kitchen. It is my happy place. I don’t mind baking up a storm and filling up my home with cookies and other goodies for family and friends. My son Jaime is a cookie monster so he really gobbles up everything I bake. Sometimes I have lots left over which prompts me to invite people who like to eat cookies just to help finish them off. 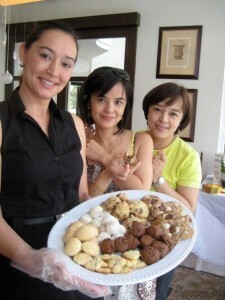 When my friend Michelle Ressa Aventajado invited me and my sis Janelle to join her cookie swap, I was overly excited. 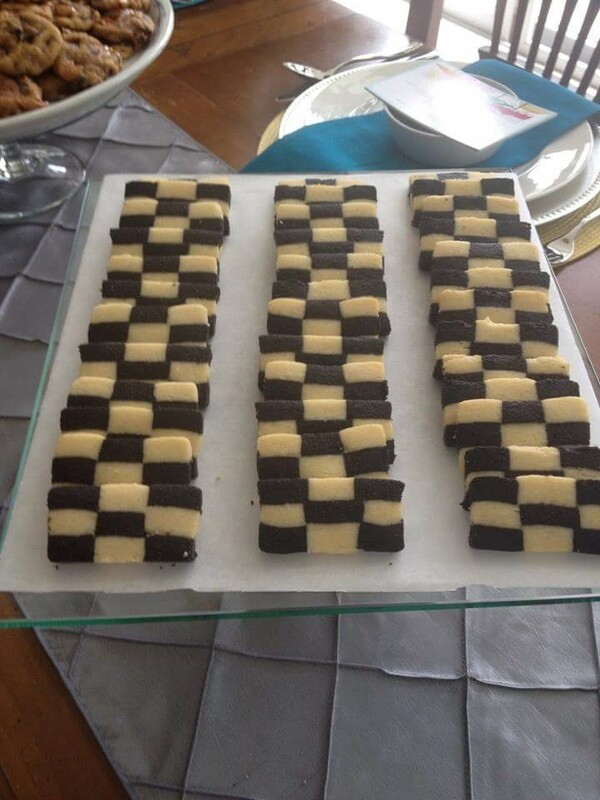 Finally, a reason for all this cookie madness! Michelle is a Filipina-American who hails from New York City and brought back with her, this lovely tradition to our shores and our community of friends in Alabang. It may well be in existence already in this country but have not come across anyone yet who has taken part in one. Five years later and I still look forward to this event that Michelle so lovingly organizes and prepares herself which just gets better every year. It now heralds the start of my Advent season and is also the culmination of my “cookies in the brain” condition. 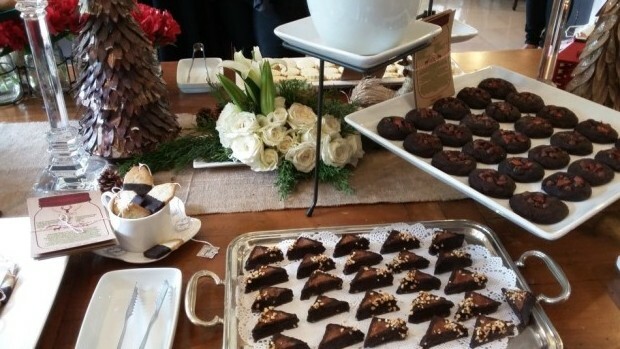 The cookie swap or cookie exchange as it is also called, is a century ( or so) old tradition which probably originated in the United States based on documentation found referring to the activity of giving and sharing cookies during the early 20th century. 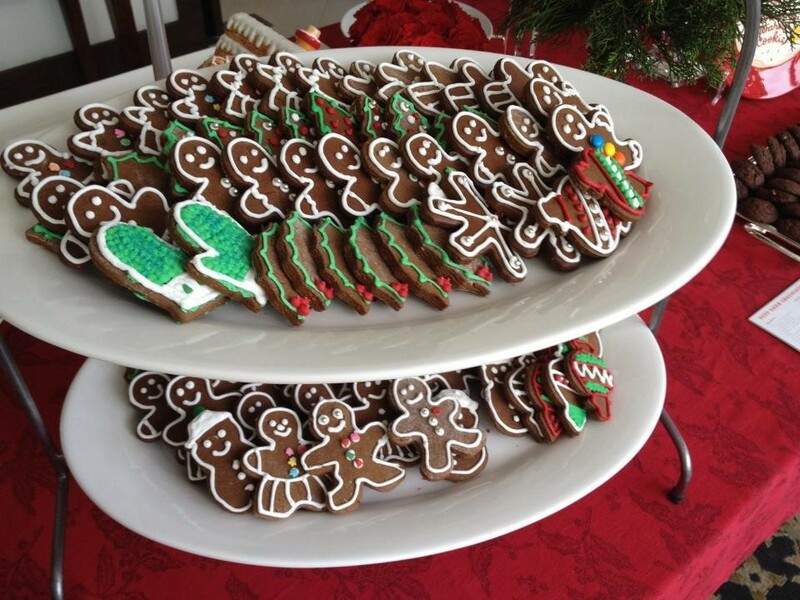 Based on my research, there is no individual, group or event that can claim credit for inventing the cookie swap. It has probably existed as long as cookies were invented but was never given the proper value and recognition. As a baker, the cookie swap holds a special place in my heart. The long honored tradition of giving is never more emphasized than when friends and strangers get together to share recipes, exchange stories and ultimately get to taste the fruits of the labor of love that goes into baking the cookies. Not to mention the special added value of making new friends based on a common passion. It is a very popular Christmas tradition in the United States and the rules are usually simple but vary from group to group. 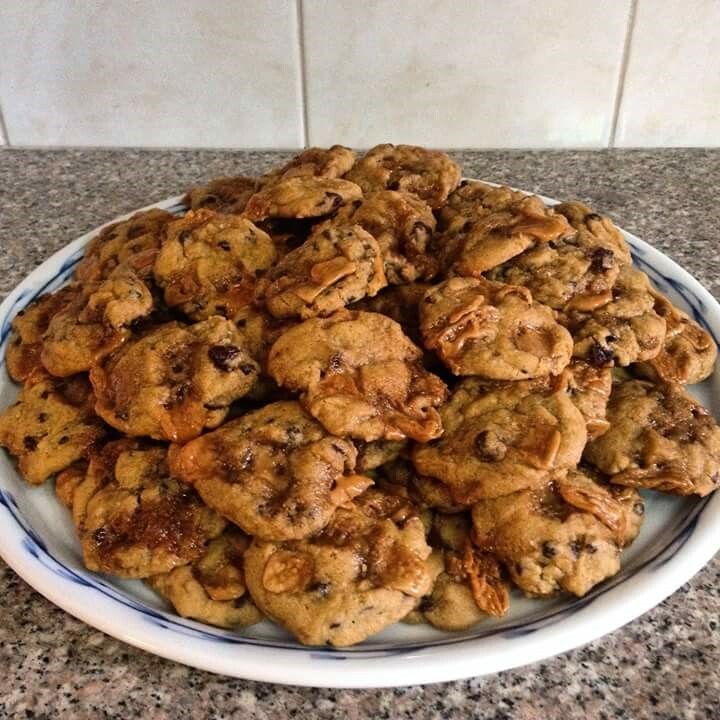 In our group, we are required to make a dozen cookies per baker to take home, plus 2 extra dozen to taste and share with each other on the day. Usually there are no less than 10 bakers so we bake at least 12 dozen cookies. It is a daunting task especially for the newer members. 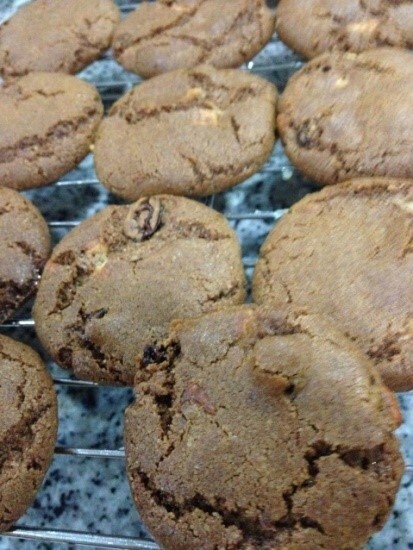 The cookies have to be baked and have flour in the ingredients. Other than that, plus the unspoken rule of pouring in a lot of love into the batter, we can go crazy with our cookie choices. Michelle sets up a small corner in her house and stocks it with cookie tins, boxes, colored string, ribbons and cards and everything else needed to package the cookies for gift giving. Our cookie group is composed of amateur home bakers who share the love of cookies and the passion for baking. 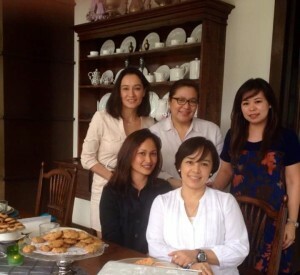 Our swap is held either on the last week of November or first week of December at Michelle’s lovely home in Alabang. 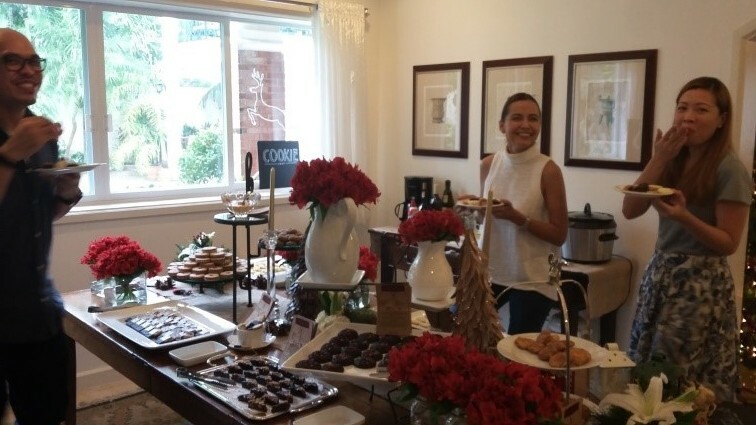 She sets a yummy brunch table right before the cookie tasting and judging that infuses an easy and friendly tone among the bakers, judges and special guests. Every year, new bakers join the group when some of the original ones can’t join for some reason or another. We find ourselves leveling up each year on the choice of cookies to bake. 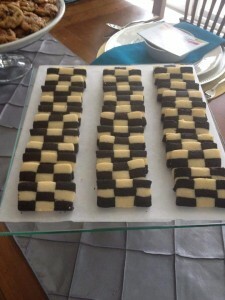 There is a friendly competition going on and our cookies are judged by cookie experts on the best presentation or best looking, best tasting and best overall cookie. After the winners have been announced, it is time to pack the cookies for taking home. It is no wonder that I get cookie crazy when the “ber” months start. As soon as I take home the cookies, the frenzy begins. But that’s for another story. It is truly such a wonderful tradition and a joy to continue and share with our children. 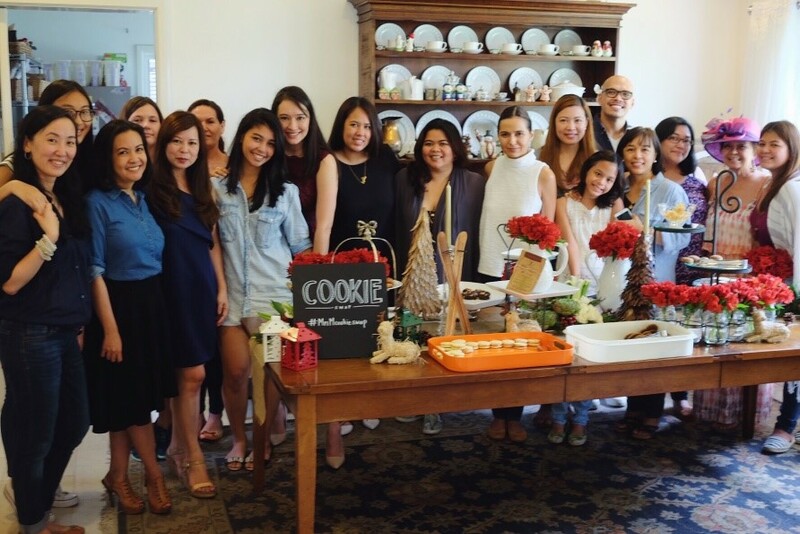 I am happy and amazed at the impact it has on our next generation of cookie lovers. Some of the bakers bring their young daughters along for the experience. Michelle’s own Gia has been baking alongside us from our very first cookie swap. 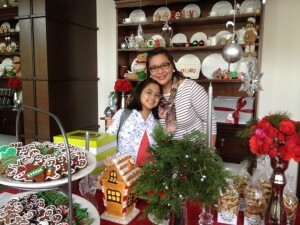 My daughter Martine, who has been tagging along with me, is inspired to try her hand at baking soon. Cookies are like love and memories, we take them out of the cookie jar and savor them one at a time. This, for me is how the Christmas cookie happily crumbles. Sharing with you the recipe of my entry to my very first cookie swap experience. I make this every year to give away as gifts and to grace our Christmas table. Hope you enjoy making and sharing it with people that matter, in the spirit of Christmas. Cream butter and confectioners sugar until light and fluffy. Add vanilla, salt and flour. Mix well. Fold in almonds and cranberries. 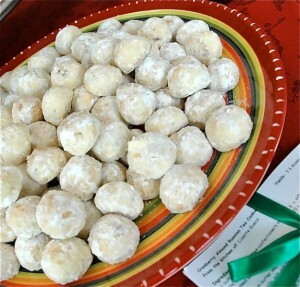 Shape dough into dime sized balls and place on ungreased baking sheet . Bake at 400 degress for 12 to 15 minutes. While warm, roll in confectioners sugar. Roll again in confectioners sugar a second time when it cools down. Take a bite and enjoy it with hot tea. 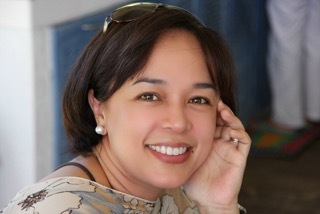 Lizette Barretto Gueco is a regular columnist at FoodFindsAsia.com. She writes about her life’s passions which are family, home, food, relationships and how they fit in perfectly in her scheme of things and in the circle of life. 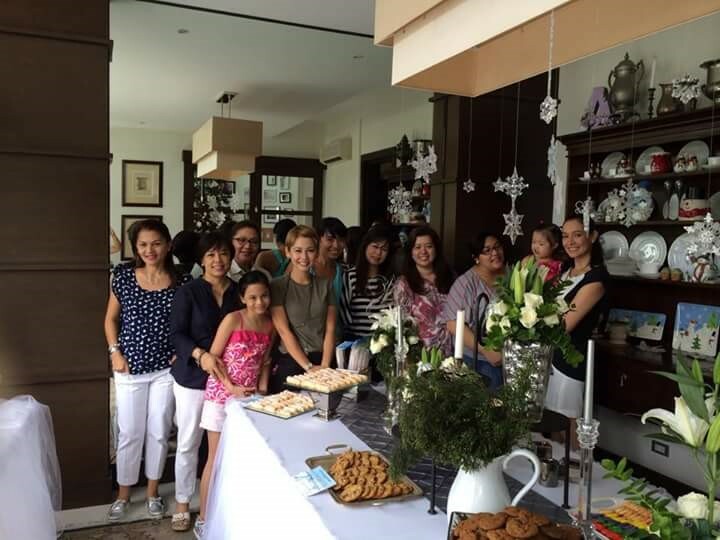 Lizette is now a busy home based mom after working in marketing and the travel industry for some time. 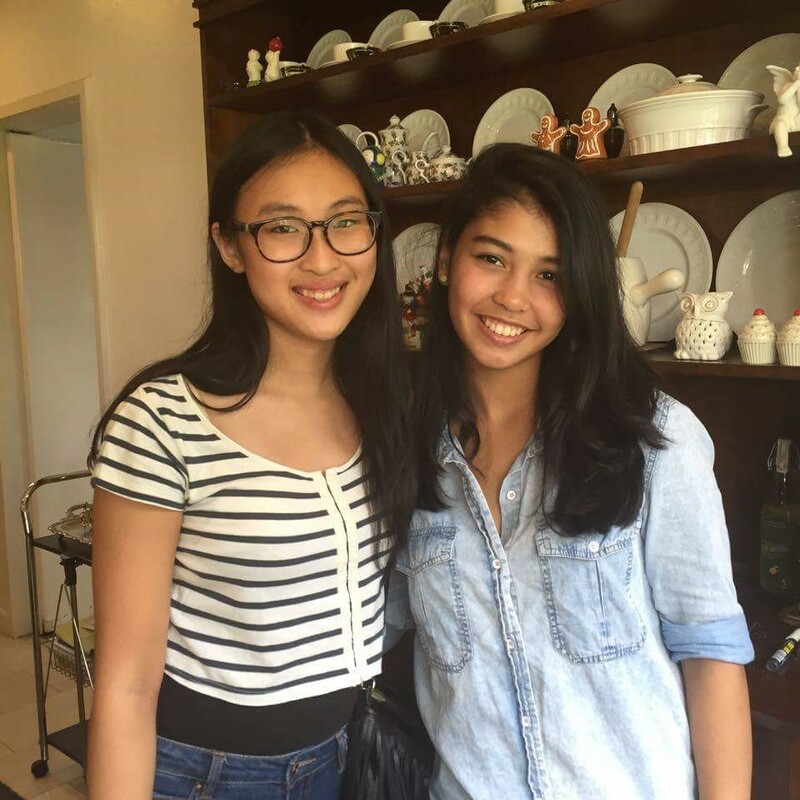 She also ventured into jewelry design while she was a partner at a prestigious jewelry store at Greenbelt 5. 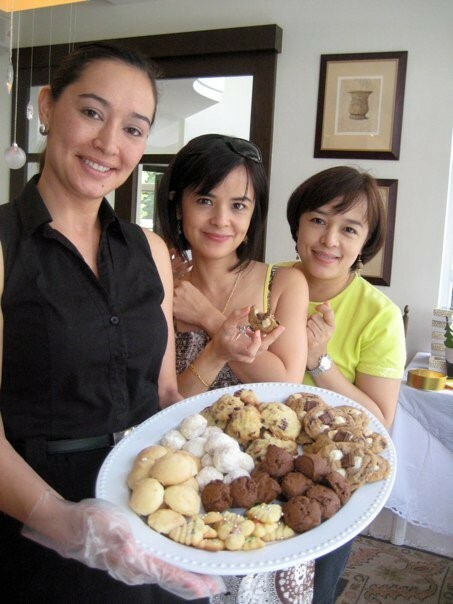 Aside from juggling family schedules and managing the home, she also finds time to bake and sell her sweet offerings from her home as well as indulge in her other hobbies like jewelry making and arts and crafts. She is an amateur filmmaker, traveler, foodie, dreamer and lover of life.